The reasons given by Brazilian officials for this new delay are intriguing. One source told AFP that “the government budget does not include an outlay for the purchase of the jets, so the decision is for 2013”. This is a bit strange since the decision was long planned and must have been included in the budget of more than one previous year. It sounds like postponing the decision is caused by a money problem instead of a tactical move. So now Brazil does not have the money for those new planes? The same official also added that Brazil is awaiting the outcome of the U.S. Presidential elections in November and that Dilma is considering a trip to Paris in December. Now those sound more like tactical moves. Does Brazil hope it might get a better deal under Romney? Or is the delay to buy Super Hornets another response to the U.S. decision earlier this year to cancel an order for 20 Embraer Super Tucanos for use in Afghanistan? That would mean the motto in U.S.-Brazil diplomacy is: we buy from you if you buy from us, which is all very well. But let’s assume that Brazil will place the order for new jets finally in 2013. Is it true that Boeing’s chances have increased? Let’s see. Brazil not only needs new planes, it also needs planes pronto if it wants to prevent an air defense gap of several years. Its present fleet is ageing fast and the new planes have yet to be built. And the price is a factor too, of course. But Brazil wants technology transfer and participation by the country’s defense industry in building the jets, for business and strategic reasons. In the long run Brazil even wants to develop its own jets, which is quite normal for a great power, but also a very complex and especially expensive project. The Seattle-based company certainly has improved its position in Brazil, due to its recent alliances with local aircraft maker Embraer, which is expanding its defense operations. Embraer said in July that Boeing will supply weapons systems for its Super Tucano fighter, and the U.S. company is also helping develop Embraer’s KC-390 military transport and refueling plane. 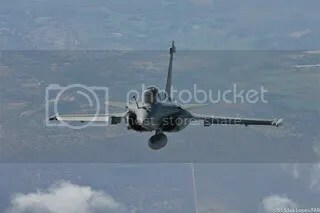 Reuters reported earlier this year that Boeing has frozen the price on its bid since 2009, an unusual step, which is believed to have improved the Super Hornet’s cost advantage over the Rafale. The most interesting purchase seems to be indeed Boeing’s Super Hornet. Not because it’s the best plane (it’s just good), but because of new industry developments. According to Aviation Week, Boeing has recently been marketing a new and interesting deal to as yet unknown customers. 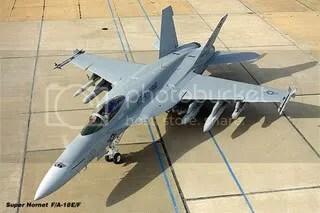 The company presented a newer version of its Super Hornet that, combined with the option on a much more advanced so called Sixth Generation Fighter still under development, would give customers a better deal. The idea is that a customer would buy the Super Hornet of today, have it upgraded later with among other things extra forward stealth and extra range, while awaiting a future transfer to a next, Sixth Generation jet to be available circa 2024. We can only speculate if Brazil is among the potential customers of Boeing’s new future fighter, but what if Embraer and other Brazilian businesses align themselves with Boeing and get a stake in the development and production of parts of that Sixth Generation Fighter? That would be a major strategic move for both Brazil and the U.S., as a substantial part of their main defense industry would be intertwined for decades to come. Brazil and its industries would be participating in the development and production of a next generation fighter and thus fulfill the country’s ambition. More cooperation between Embraer and Boeing in the civil aviation domain is also possible. Embraer sells passenger jets in the 100-120 seat range and is no competitor to Boeing, with its 737 family. The two companies could jointly even develop a next generation of fuel efficient or ethanol powered small and medium sized planes. There are huge possibilities for Brazil’s aviation and technology sector in a link up with Boeing. But the transfer and sharing of the future technology for a fighter plane may as yet be too hard to swallow for U.S. politics, even with Romney, an advocate of strong defense spending, in office. Would the U.S. Senate allow foreign companies to work on such a delicate future weapon system as the next fighter jet? Maybe, maybe not. Or would they want Boeing to merge with Embraer for such a deal? But that, selling the soul of its aviation industry to Boeing, might be a bit too hard for some Brazilians to swallow. If the U.S. are no bait for such an arrangement, a similar deal may of course be worked out with the French. Brazil buys the Rafale, but only on the condition that the next generation fighter is a Franco-Brazilian undertaking. But Dassault, the Rafale’s manufacturer, is a much smaller company than Boeing and offers less options for Brazil’s industry. Dassault also competes with Embraer in the executive jet market.